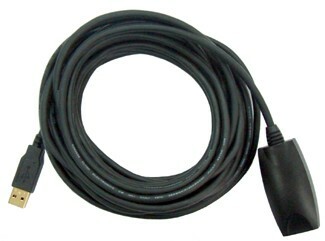 BF-3000 USB 2.0 Extension Cable - Custom Sensors, Inc.
· Series Up To 4 Cables. The Model BF-3000 USB 2.0 Extension Cable is an active device that buffers the data going in and out to assure that the signal always meets the USB 2.0 electrical and timing specifications. Using passive extension cables can result in timing errors and data loss. Passive cables are not recommended for extending USB 2.0 beyond the cable length furnished with the USB device. The BF-3000 can be used to extend the cable length of any USB 2.0 device. The USB 2.0 data extension cable acts as a transparent USB hub, and buffers all upstream and downstream data traffic. Both low speed and high speed devices can be accommodated.